FOR IMMEDIATE RELEASE - 01/05/2016 - Corona, CA:T-Rex Grilles has completed an all-new catalog which presents the very best of the current product portfolio. Initially revealed and made available at the 2015 SEMA Show, the 2016 product catalog features all the top moving part numbers, part numbers for most popular make / model applications, and of course all the latest product listings at the time of print. 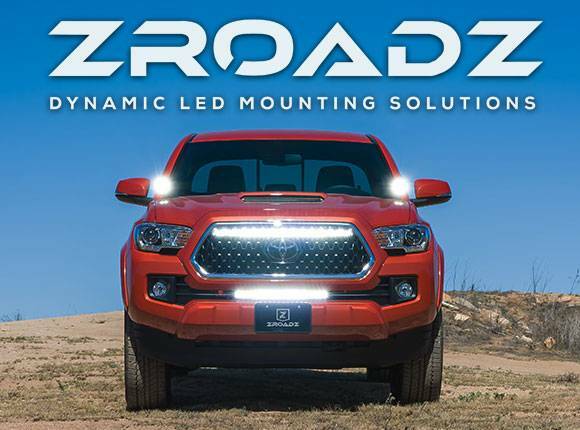 Several features highlight new and innovative style developments such as the STEALTH METAL Series (Blacked Out Grilles w/ Black Studs & Black Badging), TORCH TECH (OEM Style Bolt-On LED Light Mounts), and LASER BILLET TORCH GRILLES (3D Contoured Laser Cut Billet Grilles w/ built in LED Lighting). T-Rex has also made available the complete catalog as a convenient digital download in PDF format. 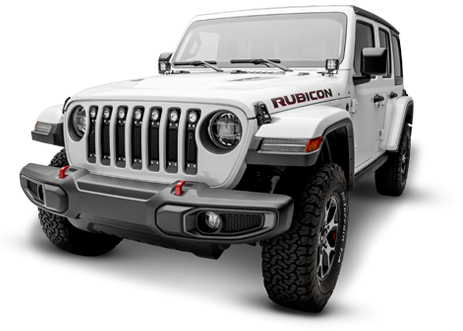 High quality, American-made grille products and truck accessories manufactured by T-Rex are just a click away or at arm’s reach on the catalog rack. 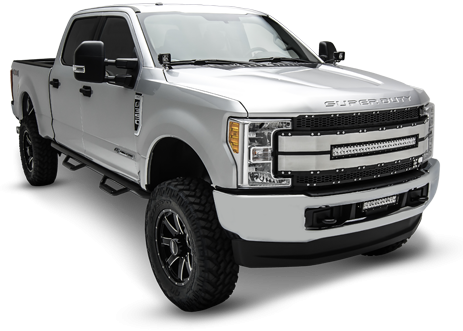 The 2016 T-Rex Grilles’ line-up includes our traditional Billet Series grilles, aggressive X-Metal Series mesh grilles, performance minded (and red hot) Torch LED Series grilles, innovative Laser Billet grilles, luxurious Upper Class mesh grilles, motorsports inspired Sport Series mesh grilles, providing a grill design for every consumer’s style and taste. 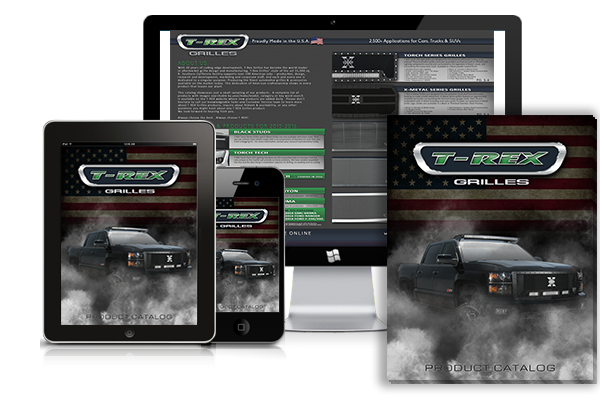 T-Rex Grilles boasts the most comprehensive collection of grille applications available on the market today. Contact us today to get your hard copies shipped out to your sales office and download the digital version here.